(ANS - London) - The Salesian Youth Ministry of the Province of Great Britain (GBR) is developing a new project to offer the opportunity for a holiday to young refugees and asylum seekers aged between 14 and 17 years. 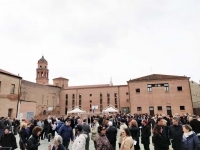 The "Valdocco Project" is inspired by the Salesian charism and takes its name from the place where Don Bosco began to give hope and joy to marginalized young people. The project thus intends to respond to Pope Francis' appeals for compassion towards refugees and asylum seekers and "to recognize and welcome the Lord Jesus among the smallest and most vulnerable"; it also answers to the invitations of the Rector Major to the Salesian Family in Europe to look for practical ways to offer assistance regarding the refugee crisis, paying "particular attention to unaccompanied minors and young people." Exclusion, uncertainty and, unfortunately, hostility, have serious repercussions, especially on young refugees and asylum seekers, who may become trapped in new societies and be with limited possibilities to rebuild their lives. A holiday, for its part, can offer a sense of freedom and normality, that is what young refugees and asylum seekers rarely experience. The GBR Salesian Youth Ministry team met in November to start planning and developing this project, which is expected to actually take place from 3 to 10 August 2019 in Liverpool. 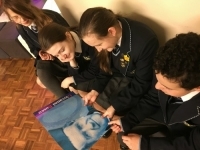 Support to taking root and becoming part within and of the community will come from local members of the Salesian Family who are involved in schools or working directly with young asylum seekers in the area. The team of volunteers and organizers is truly intent on reaching these young people, whose childhood has been upset by war and persecution, and who have suffered the trauma of having to flee their homes to reach a foreign place, where their reception is often uncertain and unknown. The managers of the "Valdocco Project" hope that it will have long-term effects, providing a basis for young refugees and asylum seekers "to build their lives in a positive way and to be able to fit responsibly into society", as the Framework Reference prescribes of Salesian Youth Ministry. (ANS - Cuiabá) - Fr Ángel Fernández Artíme, Rector Major of the Salesians, X Successor of Don Bosco, had his first meeting in the sports center of the Salesian College of San Gonçalo on Wednesday 24 April and received a medal from the city of Cuiabá that symbolizes the 300 years of the city's foundation. Hundreds of Salesian students, participants in social projects, school collaborators, the entire community of Cuiabá, people from the inland villages, all welcomed Father Angel in the morning. A colorful dance and cultural performances of the Salesian students and of the Flor Ribeirinha group awaited him, showing the X Successor of Don Bosco the history and culture of the Salesian presence in Mato Grosso. Mayor Emanuel Pinheiro and his wife Márcia Pinheiro celebrated the 125th anniversary of the arrival of the first Salesian missionaries in Cuiabá, together with the faithful of the Catholic Church. The date was commemorated with a Mass of thanksgiving in the Shrine of Our Lady Help of Christians in the presence of the Rector Major of the Salesians of Brazil, Fr Angel Fernandez Artíme. Mr Pinheiro and Mrs Márcia paid tribute to the Rector Major with the commemorative medal of the 300 years, declaring that "I feel honored to be part of another important milestone that summarizes the history of the capital's 300 years and of being able to thank the Salesians for their contribution to the development of Cuiabá." "With a fruitful work in the field of education and also for the defense of indigenous peoples, they are helping to grow better people, giving more access to social inclusion .... For this reason we could not fail to present this medal to the Rector Major and thank him for all that has already been given to us. Gratitude is what we carry in our hearts for you," said Mr. Pinheiro. Fr Ángel Fernández Artime gave his thanks for the meeting and said he was very happy for the reception of the people of Curitiba. "I am also grateful for the recognition and tribute received. This demonstrates that our work in favor of education and indigenous peoples has been significant," the Rector Major emphasized. Governor Mauro Mendes and First Lady, Virginia Mendes, also participated in the celebration, presenting the "Order of Merit of Mato Grosso" to Don Bosco's successor. (ANS – Dungalpitiya) – Following the tragic attacks in Sri Lanka on Easter Day, the Salesian Provincial in the country issued a statement today, April 24, which we publish below. I am deeply saddened to write these few lines about the horrific events that unfolded on the morning of Easter Sunday, 21 April 2019 in Sri Lanka. Although you may be already aware of the tragedy of epic proportions, I would like to share with you some information in this regard. The powerful blasts - six at 8:45 am on Easter morning and then two more hours later - left the island nation grieving. The blasts targeted St Anthony's Church in Colombo, St Sebastian's Church in the western coastal town of Negombo and another church in the eastern town of Batticaloa around 8.45 am (local time) as the Easter Sunday prayers were in progress. Three explosions were reported from the five-star hotels - the Shangri-La, the Cinnamon Grand and the Kingsbury. As per the United Nations report, at least 45 children were among the more than 359 people killed in suicide bomb attacks in Sri Lanka. Three police officers were killed in a blast during a raid. At least 38 of the dead were foreigners, including American, Australian, Bangaladeshi, British, Chinese, Danish, Dutch, Indian, Japanese, Portuguese, Saudi Arabian and Turkish citizens. The president's office on Monday (4/22) declared that emergency law would come into effect from midnight, giving police extensive powers to detain and interrogate suspects without court orders. The attacks brought a shattering end to a calm that had existed in this Indian Ocean Island since the bitter civil war ended 10 years ago. The bombers targeted crowds that contained a large number of the elderly, women and children. The official counts only account for those who are dead or injured. It doesn't take into account those who are missing or those who may have been ripped apart by the blasts so badly that there are no identifiable body parts left. The authorities in Sri Lanka said a small radical Islamist group, the National Thowheeth Jama'ath (NTJ), carried out the attacks, with help from international militant group ISIS. After the bombings, Sri Lankan security services have arrested at least 59 suspects. The Government has commenced relief efforts along with civil society organizations. There are no Salesians or any Salesian house that has been directly affected in the carnage. However, we are still to assess if some of our parishioners and past pupils have been among the victims, either killed or those injured. I would like to thank you for your prayers and your concern. Due to the prevailing tense situation and the restriction of movement we are currently unable to reach out to the victims; however we at Don Bosco are assessing the situation along with the local church and some NGOs to see how best we can serve the victims of the tragedy as well as the nation of Sri Lanka in this time of crisis. Please do continue to accompany us with your prayers and support so that peace may prevail, the victims are duly assisted and that we all stand united in the face of such great evil. I will keep you updated and soon share with you our plans to reach out to the victims and the distressed. (ANS - Campo Grande) - Yesterday, 23 April, was a historic day for the Salesians of Brazil-Campo Grande (BCG) for the arrival of the 10th Successor of Don Bosco, Fr Ángel Fernández Artime, to the Province. Welcomed by local Salesians and groups of the Salesian Family at the international airport, the Rector Major responded to everyone with a friendly smile and an attitude of paternity, despite the 10-hour flight. Waiting for him at the "Antonio João" international airport in Campo Grande, one of the country's major airports, was the archbishop emeritus, mgr. Vittorio Pavanello, SDB; the Provincial of BCG, Fr Gildásio Mendes; his Vicar, Fr Elías Roberto; the Provincial Delegate for Youth Ministry, Fr Wagner Luis Galvão; also present were the young in formation, Salesians from Campo Grande, Daughters of Mary Help of Christians, Sisters of the Sacred Hearts of Jesus and Mary, local coordinators of the Association of Mary Help of Christians, Salesians Cooperators and Volunteers of Don Bosco. "I think they will be very rich days, of great closeness, with much animation, a lot of listening, much sharing. My heart is truly happy in this moment to be among you," said the X Successor of Don Bosco. During this week, the Rector Major will participate in the celebrations for the 125th anniversary of the Salesian Province, visiting the Salesian works of Cuiabá, Barra do Garças and Meruri; he will then return to Campo Grande on Thursday 25, where he will remain until Saturday 27th. The agenda of the Rector Major for these days is filled with meetings, first of all with the Salesians of Don Bosco, but also with the young and the Salesian Family. Today, April 24, Fr Á.F. Artime meets the young people of the Salesian Youth Movement and the students of the "São Gonçalo" Salesian Institute in Cuiabá. He then presides over the Eucharist in the Shrine of Mary Help of Christians, in the presence of the mayor of the city, Emanuel Pinheiro, the Governor of the State of Mato Grosso, Mauro Mendes, and other authorities. Fr Paulo Vendrame, Director of the "São Gonçalo" institute, for his part said that in Mato Grosso the Salesians animate 21 centers, each with a parish, social work and some kind of educational center. "The Salesians arrived in Mato Grosso with two objectives," he explained. "On the one hand, taking care of the education of young people, and on the other hand working among the indigenous peoples. The Rector Major comes at an important time for us, as we celebrate the 125th anniversary of the arrival of the Salesians in the State of Mato Grosso." (ANS - Asmara) - The Salesians have been present in Eritrea since 1995, settling first in Dekemhare, a town 2060 meters above sea level, about 40 km south-east of the capital Asmara. In 1996 the Eritrean government donated land to the Spiritual Sons of Don Bosco, which, even in a desert territory, saw the birth of new plants, new buildings and new activities being added every year, all focused on a single goal: the reception of the poorest of youth and their education. Thus the technical school "Don Bosco Center" was established in Dekemhare which today forms about 400 pupils - for free - every year, to which, thanks also to the support of the government, food is also offered. It also provides recreational activities for children and school recovery courses. Furthermore, to improve the quality of teaching, since 2001, the Salesians - together with the NGO "International Voluntary Service for Development" (VIS) - organize refresher courses for teachers, both those of the Don Bosco Center and those of all the country's others technical schools. In 2017, the Salesians and the VIS then launched what is about to become the second Salesian technical school in Eritrea, currently simply called the "Skill Development Center", which is in Barent, towards Sudan, in an isolated area in need of development. As is typical of the Salesian tradition, these educational proposals are primarily addressed to the neediest of young people, those who have abandoned their studies and who would, otherwise, risk remaining on the margins of social life. Through the eight formative disciplines of the center of Dekemhare and the two of the center of Barent, poor children have access to good education, enabling them to find a job. Beyond the commitment to education, Salesians and VIS are also dedicated to fostering the development and autonomy of the local communities by promoting the construction of water wells, a fundamental condition in a land often subject to drought and famine. In this sense, the young people of the technical school are also trained to maintain and repair wells. In this phase of détente between Ethiopia and Eritrea, with the reopening of the borders after a latent war lasting many years, the Eritrean population looks with optimism to the future: in Eritrea new goods and merchandise have arrived, there has been a general lowering of prices, and finally Eritreans and Ethiopians have been able to re-embrace. (ANS - Dungalpitiya) - 310 victims and over 500 wounded is the provisional toll of the 2019 Easter carnage, the result of numerous explosions in various churches and hotels frequented by tourists. Once again hatred and violence stain the main Christian festival with blood, the very one that announces the victory of the Lord over death. “I wish to express my affectionate closeness to the Christian community, struck while it was gathered in prayer, and to all the victims of such cruel violence. I entrust to the Lord those who have tragically disappeared and pray for the wounded and all those who suffer because of this dramatic event” was the message pronounced by Pope Francis from the central Loggia of St. Peter's Basilica on Easter Sunday. According to data provided by "Open Doors", an organization that monitors religious freedom in the world, from January to date already 4,336 faithful have been killed for matters related to their beliefs, an average of 11 per day. In addition, another 2,625 have been imprisoned. In particular, there is an increase in pressures in Asia, Africa and the Middle East, which sometimes take the form of obvious discrimination, others of latent marginalization from social life. In general, one in nine Christians in the world is a victim of severe forms of persecution, ranging from a series of limits, up to the most serious cases, such as death. The Christian community in Sri Lanka is approximately 7.5% of the total, and is composed of both Sinhalese and Tamil citizens. “It represents a bridge community that in itself reconciles society in the name of Christ,” as Father Antonio Spadaro, SJ, tweeted. It is the first time that an Italian team is crowned the winner of the main world science and robotics competition. NASA - the US space agency - had wanted to challenge young scientists from all over the world on the theme "Into orbit". In other words, it was a matter of inventing solutions to improve the living conditions of astronauts in space. So the youths of the "Don Bosco", together with their teachers / trainers, responded with the "Wemit" project, an innovative "space washing machine" designed to provide for the washing of astronauts' clothes in zero gravity and without water. As often happens with innovations originally conceived in the space sector, the "Wemit" system may later also be used in many areas of daily life to reduce the production of waste (for example, providing for washing clothes used in hospitals or food factories currently, in most cases, disposable). For this reason the Don Bosco Institute has already patented their project, thus bringing its eight young students into the ranks of inventors. Furthermore, the quality of the project led to the young Salesian students being invited to the prestigious "Global Innovation Award", the final for the 20 best scientific projects presented during the competitive season around the world, with the final staged in June in California. The "iDB Tech-No-Logic Team", the "Don Bosco" team of Verona, had already made headlines in 2018, qualifying for the World Championships held in Detroit and winning the prize for the best project presentation. This year, instead, they dominated right across the board, coming first in the following categories: scientific project, technological innovation, robotic programming, presentation and teamwork. The success of Salesian students confirms the importance of engaging in the field of education, to excite and inspire young people to scientific and technological subjects, using creative and unconventional methods. "The Salesian model is once again confirmed as a reference point in the panorama of the educational and formation system," commented Elena Dozzan, the Veneto Region's Councilor for Formation. (ANS - Guatemala City) - "We are in an educational and social situation where practically the young person does not respond to calls, but rather there are situations of stationary decisions," said Msgr. Jorge Carlos Patón Wong, Secretary of the Congregation for the Clergy. When one refers to the vocational theme, and directly to the summons to priestly life, today more than ever it is necessary to foster the "educational processes that teach young people to decide". It is for this reason that the Vocational Meetings must help to fulfill projects that favor the taking of decisions and, above all, that they listen to what God asks young people, who must not let themselves be carried away by fear. Many young people today are afraid of commitments, especially if they are commitments for life. 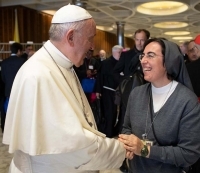 For this reason, the Document of the Synod of Youth emphasizes: "The concern of many Churches for the decrease in the number of vocations to the ordained pastoral care means that a new reflection on vocation and vocation ministry is necessary." It is important to encourage young people to respond with a generous "yes" to their vocation and it is necessary to continue listening to what the Holy Father said to the young people: "Do not be deaf to the call of the Lord," and it is necessary rather to implement projects "that will help to take decisions." In this context it is beautiful to see that the 1st National Vocation Meeting took place at the Don Bosco Institute in Guatemala City in what was a climate of fraternity and expectation on the part of the young participants. Several young people from all over the country took part in the meeting. For some it represented a step forward in the process that started a few months ago; for others it was the first time in that group; all, however, actively participated. 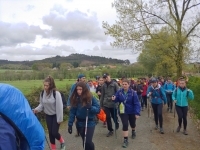 Some of the contents discussed were: "Remember my guide-chaperone", a cineforum on the film Cristiada, the five vocational values, the levels of vocation (human, Christian, specific). During the Eucharist those present were invited to seek the Lord in all living conditions. Furthermore, there were moments in which the young people had the opportunity to share their experiences in the search for the life option that the Lord proposes to them. The National Vocational Team of Guatemala was present at the event with the aim of guiding young people and presenting their vocational and charismatic proposal. The 1st National Vocation Meeting, which developed the motto "Jesus, the Waze of my life", (named after a well-known app for road navigation) was indeed a unique experience to guide young people in their vocational discernment and orientation. (ANS - Santeramo in Colle) - A Saturday afternoon, a game of football ... It seems like an ordinary day at the oratory of Santeramo in Colle, not far from Bari. But there is a team of boys never seen before, with a colored uniform they are proud of: they come from Cameroon and have something to share. After the match, organized by the local Polisportiva Giovanile Salesiana – PGS - the Salesian Youth Sports association, and the oratory's missionary group, with the collaboration of the parish of Sacro Cuore, the Cameroon youths donated a piece of their story and history to the whole community. The youths of Cameroon risked everything they had, left their land "when the sea seemed safer than the earth" and now they are here, open to dialogue. It was not difficult: it took just one ball, a match, a chat. The beauty of hospitality, as one of the boys from Cameroon pointed out, is that it becomes such only when it is two-way: welcoming means opening up to the other and letting the other open up to you. This is what one of these young men welcomed to Santeramo said, leaving everyone speechless, with his testimony: "It's scary not to have a rock to cling to. I know what it means to cross the sea, crushed on a boat or on a rubber raft, between the tears and children and the screams of mothers. Among the waves that push you into the water with death in your heart knowing that no one is waiting for you and that you cannot go back. I also know what it means to be saved and welcomed, but not everyone has been lucky like me, like us. And those bodies on the beach, in the sea, I will never be able to tear them from my heart and eyes. I pray that tonight it is we who save you, because God has given His only son to save all of us, and you, because we are His family. His family is all of us, the whole world without borders, without hatred without rancor and without division. Because Jesus is the love on which we must found our lives, our homes and our families. Thank you." During the testimony there were people of all ages, completely different from each other, but all animated by curiosity and the certainty that there is something beyond numbers and news. Behind these young people there is really a world to discover and it was nice to have the chance to explore a part of it.